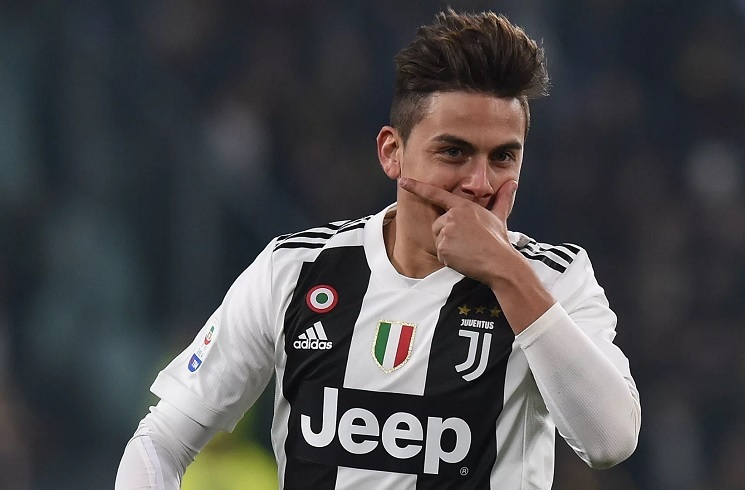 Paulo DYBALA scored for Juventus in their 2-1 win against AC Milan. After falling behind 1-0 through a goal from the first half, DYBALA was brought down in the penalty box by fellow Argentine Mateo MUASCCHIO. 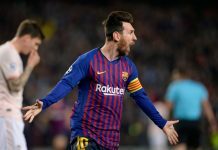 The referee pointed to the spot and Juventus were awarded a penalty. DYBALA scored as Juventus drew level. The reigning Serie A champions would go on to score and get the victory. I don’t view Paredes as a DM. Battaglia, if healthy can definitely fill this role. He was really impressive vs Brazil. Super aggressive, towering and intimidating. If DiMaria “has to start”, then I guess he can replace De Paul in this lineup. Pereyra is gritty, tough and fast. He posses excellent stamina to run and up down the flank and provide the necessary width. He’s also solid defensively. De Paul natural plays on the left. He’s a great passer and solid team defender. I imagine Messi slightly positioned behind Aguero to his right. With him combining with Lo Celso and feeding Aguero. Also, I think Acuna can be just as effective as Tag playing that LB position. He always plays well for the NT team to me. Lo Celso-Ascacibar-Palacios, if its 3 man mid. What about using 2 DMs? Sacrifice playmaking for bullying. Ascac and Guido take on the dirty work. Messi, Lo Celso, and Lanzini do their thing with support from Tag and Saravia on the wings. My apologies mate. It’s all my fault. I didn’t mean to hurt you, but it turned out bad. It went too far. Don’t stop posting or giving your opinions because of me or any other person. I got carried away with that post. It was way beyond rude calling you self righteous hypocrite fan police and it was uncalled for. So once again I apologize. Even though you sounded a hypocrite when you said you’ll support the team in good and bad times but you were the complete opposite of that during the Venezuela-Morocco games atleast to me. But I may have misinterpreted that, my bad. After all we are all here for one reason: ARGENTINA! But in different ways! You are right mate, I was the one who sounded like the “sheriff in town” and “hypocrite”. My bad, my apologies. Rest assured bro, that I have no ill feelings towards you or any member here, as you said we are here for a common cause. But it seems that WE are all frustrated for the state of the NT. And when the team plays we will all be behind it no matter who plays and where and who is the coach. ok my friend. no problem. we are ok.
no bad feelings from my side and your apology is of course accepted. for me men like you that accept one mistake and have the power to say sorry showing greatness of character. i already from some of your past posts you had earn my respect. from today i have put you more higher in my list because you are really good character. Rooney has recommended his club mate Luciano Acosta to Man Utd and their scouts watched his last game live. Udinese are looking to sign Palacios from River. Anderlecht are interested in Thiago Almada. Benjamin Garre to be released by City at the end of the season and could head to Panathinaikos. Rooney says earlier Acosta is one of the best player he ever played with.I hope Acosta join a big European club. i don’t watch Acosta regularly but from what i’ve seen, he’s super talented. Incredible foot work. I also hope he transfers to Europe soon. Interested to predict what is in the mind of Scaloni if he saw the outstanding performance of certain youngster at the club level. Agree with the comments of Banega, need to be in the squad for Copa as he is on fire now and hopefully can keep his form. De Paul, Celso and Paredes seems to have got their names in Scaloni list..Battaglia and Ascacibar still a question mark. Replace Paredes with Ascacibar (far more reliable defensively) and you’ve got yourself a solid, balanced lineup. RB position give to Saravia (backup would be Ansaldi) and GK position give to Walter Benitez. I would replace Otamendi with Pezzella and Paredes with a proper no-5 and Saravia as RB. Scaloni seems to have made up his mind regarding GK position, which unfortunately is Armani. Attacking midfield is better with Pereyra-Lanzini-LoCelso. Defensive mid should be Battaglia/Ascacibar/Guido, not Paredes. Whoa! Goals galore for Argentina this weekend! -Celso with 2 goals and is now up to 14 goals in all competitions!!! The impressive thing is that he scored those goals from CM, AM and FW positions. The kid is versatile and has an eye for goal, glad he’s on our side! – Mori scored in that same game but honestly I still think he’s a liability and with Ota, Kanneman and Pezzella Argentina is well sorted when it comes to CB. – J.Silva with a goal, this kid is fullback in the typical brazilian mold (great attacking but suspect in defending). I think the backup LB position is between him and Licha Martinez. J.Caleri scored in that same game. -Depaul with another pair of goals, like Celso he’s scored his 9 goals this season from playing CM, LCM and FW positions i.e. yet another talented versatile midfielder and again I’m glad he’s on our side. -Marcos Acuna had another assist but now instead of LB he’s playing LFW!!! I have to say that I’ve always liked Acuna, hard working, skillful and versatile but to be honest I don’t know if there is a place for him in the squad but he wouldn’t be a bad pick. Come on people!!! You didn’t even watch the game and saying Paredes playing bad!!! He was on par with Verratti today for me comparing he is still adapting the league and new colleagues. delightful little line breaking pass today to setup the pre-assist for the first goal. This guy has world class ability. And people says crap here. Funes Mori: Back to the form. Banega: we need him in at least copa.in current form, no one can bettrr than him in central midfield roll.Even paredes need a lot of improvement in this position. We need the best player( in copa). Doesn’t matter if they are new or old.whoever is the best recent performence,should be in the copa team. I actually can’t remember when was the last time we had a midfielder that scoring consistently in club level. Lo Celso has to be more advance position playing him more deeper ain’t gonna benefit nothing to us. Funes mori is playing well. Funes mori is very liability. doesn’t mean He has to be in Nt. Do you have any recommendations dear friends??? Paredes and Ascacibar are not playing very well. Lo Celso and Papu Gomez should be in the team. Ever Banega is needed for copa his awareness of game is very good. He played well in world cup,two awesome assist one for Messi other for Di maria.Scaloni should know how important Banega is.Our youngsters are good but average or inconsistent.Banega Lo celso Di maria Battaglia/Rodrigo should be our midfield.Mercado should be dropped forever.